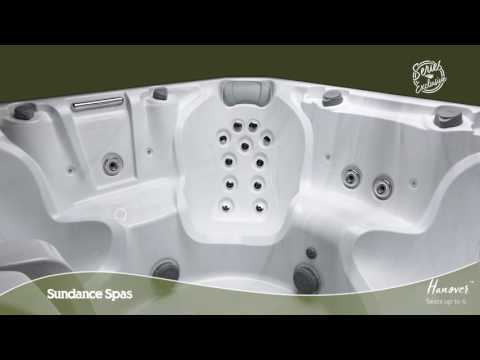 With room for up to six adults, the Hanover™ spa features a bench seat and a variety of massage combinations purposely placed in highly-sculpted seats. From a jetted buddy seat for two to high and low impact massage combinations, this 780™ Series model blends new technology with good old fashioned know-how. The robust Accu-Pressure™ therapy seat will make muscle tension and joint pain fade away with ample back coverage and targeted neck relief. The series-exclusive spiral-action, hands-on massage experience of the SMT™ seat eases tension in your neck and back. In the deep immersion seat, swirling and rifling jets deliver an experience similar to a deep tissue and trigger point massage.